Election Tracker: Congress President Rahul Gandhi is expected to file his nomination from Amethi in Uttar Pradesh on April 10. UPA chairperson Sonia Gandhi is likely to file her papers from Rae Bareilly constituency a day later. The party chief, earlier on Thursday, had filed his papers from Wayanad in Kerala, his second pick. 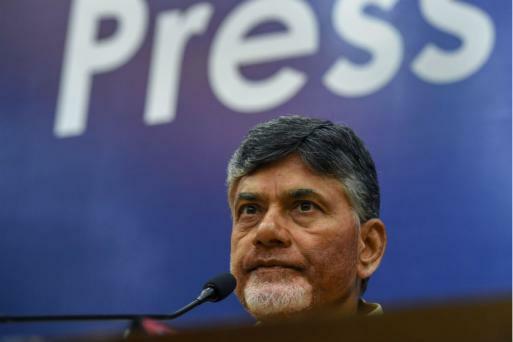 BJP chief Amit Shah on Thursday accused Andhra Pradesh Chief Minister N Chandrababu Naidu of being opportunistic and said the Telugu Desam Party, who had joined the National Democratic Alliance under the leadership of former Prime Minister Atal Bihari Vajpayee, had snapped ties with the party as soon as it went out of power. Odisha Chief Minister Naveen Patnaik on Thursday underscored the importance of women empowerment, which he described as the "real" double engine for growth, PTI reported. "In my view, if India has to hit the highway of growth and compete with the likes of the US and China, it has to transform its political landscape by empowering women," the CM said. CPI(M) Leader Writes to EC Against NamoTV | CPI(M) member Nilotpal Basu wrote to the Election Commission (EC) today against the launch of Namo TV, alleging that it was a "brazen violation" of the Model Code of Conduct, PTI reported. "To start with, we are dumbfounded to come across the information that NaMo TV, which advertises for 'Real-time coverage of PM Modi's exciting election campaign and a lot more fascinating content', has been on air for over a week now and it does not even have a broadcast license. What is even more shocking is that the channel has not even applied for a license. It does not have a compulsory security clearance, making the enterprise illegal under the existing broadcast laws. The implications for national security (of which we get to hear day in and day out from the establishment) is spine-chilling," he said. The Central Board of Film Certification in a statement has addressed the queries doing rounds on the position of the film PM Narendra Modi's release. "There queries around the film's certification, we'd like to give a clear picture. The film is going through due process of examination and certification, according to requisite guidelines. It is yet to be certified as the necessary process isn't complete at this point," the statement said, new agency ANI reported. 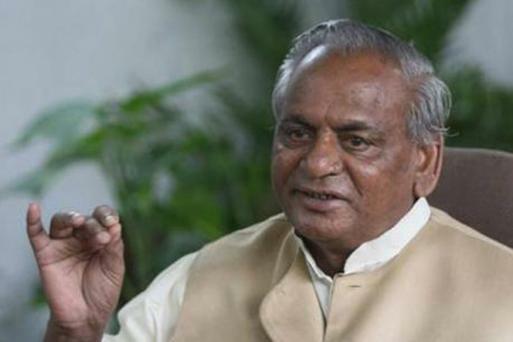 On Tuesday, the EC had written to the President pointing to the violation of model code of conduct by the Rajasthan Governor by making political comments. EC's Special Measures For Polls | The Election Commission (EC) has deployed a massive assortment of polling staff and machinery to conduct elections in the Nizamabad Lok Sabha seat in Telangana and an Assembly seat in a remote border village in Arunachal Pradesh, PTI reported. 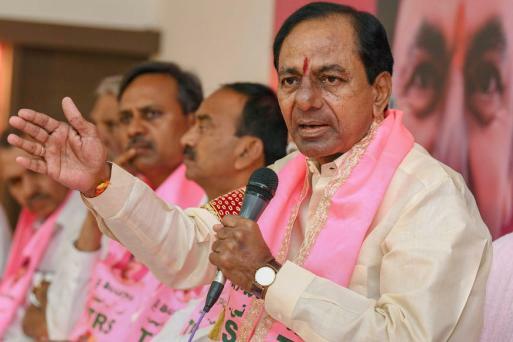 Close to 25,000 ballot units, 2,000 control units and VVPAT machines and a team of 750 engineers have been deployed to conduct polls in the Nizamabad constituency of Telangana. In case of Arunachal Pradesh, the EC have already air dropped the poll team for the April 11 polls in the Miao Assembly seat in the Changlang district. Rest of the polling teams will be airlifted and if that is not possible due to inclement weather, they will have to walk for five-six days to reach the remote polling booths of the constituency -- Ramnagar, Gandhigram, Vijoynagar and Two-Hut. Actor Rajpal Yadav today met Delhi Congress president Sheila Dikshit at her residence here, triggering speculation that he could join the party and contest the May 12 Lok Sabha election from a seat in the national capital, PTI reported. Rahul Gandhi's Amethi Nomination | Congress president Rahul Gandhi likely to file nomination in Amethi on April 10, while Sonia Gandhi is likely file nomination on April 11. Prakash Ambedkar Booked for EC Comment | A case has been booked against Bharip Bahujan Mahasangh president Prakash Ambedkar for allegedly making objectionable remarks against the Election Commission of India (ECI), PTI reported. Ambedkar said at an election rally at Digras in Maharashtra's Yavatmal district earlier Thursday that he will jail the EC for two days if voted to power. Prime Minister Narendra Modi will address two election rallies in Amroha and Saharanpur in Uttar Pradesh tomorrow. 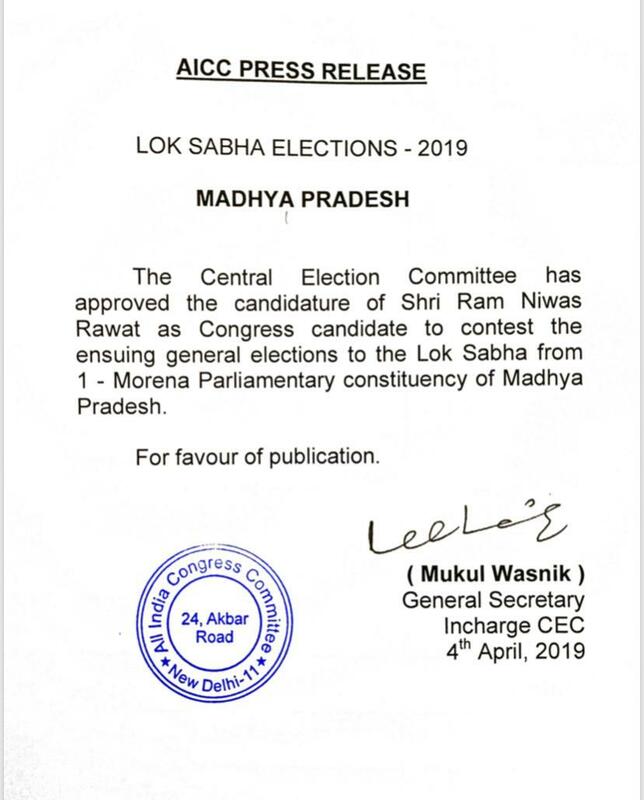 The Congress party nominates Ram Niwas Rawat to contest from Morena Parliamentary constituency for Lok Sabha polls. Mehbooba Mufti Reacts to Advani's Blog | PDP chief and former chief minister of Jammu and Kashmir Mehbooba Mufti in a tweet responded to veteran leader LK Advani's blog post. Referring to Advani's anti-national comment, she hoped he had been vocal about this earlier. Rahul Gandhi Promises Probe on Rafale | Congress president Rahul Gandhi today said the Rafale deal would be probed if his party comes to power at the Centrem alleging that former defence minister Manohar Parrikar knew there was corruption involved. "The chowkidar committed theft. The then defence minister (late Parrikar), when asked by the media, said I don't know about the new deal, you directly ask Narendra Modi, I don't know about it. Because Parrikar knew corruption had taken place and (thought) someone will get trapped," Gandhi said. Priyanka Gandhi to hold show tomorrow in Ghaziabad from 10 am to 3 pm in favour of Cong candidate Dolly Sharma. The election department in Guwahati today issued show-cause notices to as many as 71 officers in Kamrup Metropolitan district, comprising the capital city, for being absent in poll training programme. Nitish Kumar Calls Out Bihar's Pati-Patni Sarkar | Bihar Chief Minister Nitish Kumar while addressing rallies at Bhagalpur, Jamui and Aurangabad Lok Sabha constituencies today lambasted the opposition RJD for using foul language against him and Prime Minister Narendra Modi and highlighted the poor performance of pati-patni ki sarkaar (husband-wife government) an allusion to the 15 years of rule by Lalu Prasad and Rabri Devi. Rajnath Singh Slams Congress | Union Minister Rajnath Singh a poll meeting in Gautam Buddh Nagar today slammed Diamantaires Nirav Modi and Mehul Choksi, and liquor baron Vijay Mallya saying that they fled the country after 2014 because they realised that a "new and alert chowkidaar" had come to power. 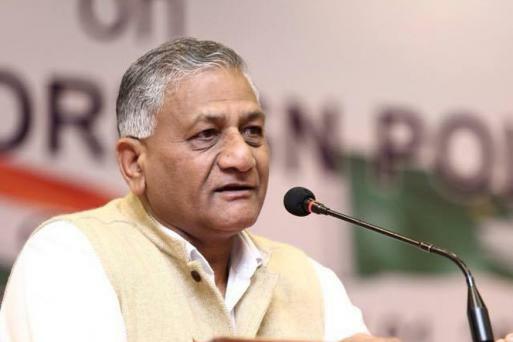 The Union Minister also slammed the Congress for doling out loans to "such people" during its rule. Mumbai Congress wants Priyanka to hold roadshows in Mumbai. Mumbai Congress chief Milind Deora and Mumbai North candidate Urmila Matondkar both are keen that she does road shows in their constituencies. 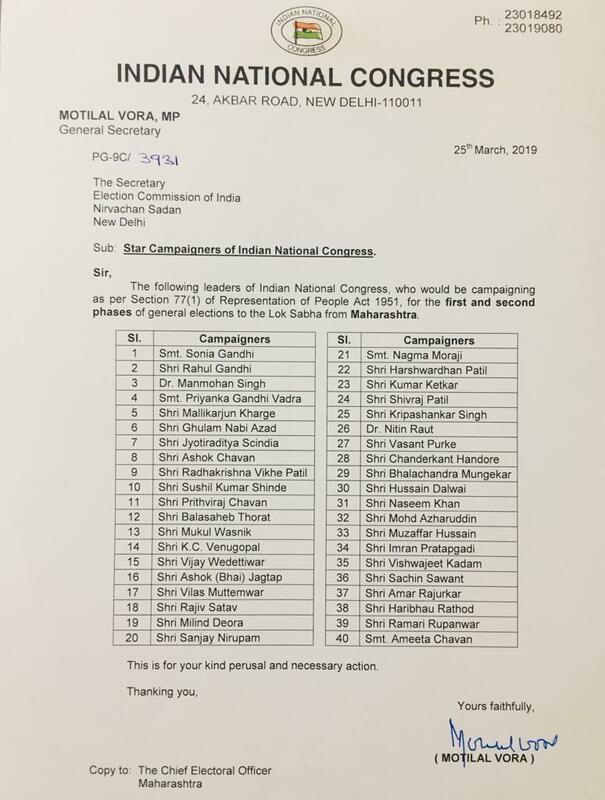 The Congress Party's star campaigner list. PM Modi Responds to Advani's Blog | Prime Minister Narendra Modi tweeted his response to veteran leader LK Advani's blog post. "Advani Ji perfectly sums up the true essence of BJP, most notably the guiding Mantra of ‘Nation First, Party Next, Self Last.’ Proud to be a BJP Karyakarta and proud that greats like LK Advani Ji have strengthened it," he said. The Election Commission has initiated an inquiry into alleged violation of model code of conduct by Meghalaya health minister A L Hek by using an official vehicle to campaign for BJP candidate Sanbor Shullai from Shillong Lok Sabha constituency PTI reported. BJP Sets Candidacy Age Limit | BJP president Amit Shah today said that his party has decided not to give Lok Sabha poll tickets to those above 75 years of age, leading to veteran leaders like L K Advani and Murali Manohar Joshi missing out. A senior leader of the ruling National People's Party former minister E C B Bamon today joined the Congress party giving a boost to the grand old party in Meghalaya. Sachin Pilot Demands Modi Govt's Scheme Report Card | Rajasthan Congress president and Deputy Chief Minister Sachin Pilot today demanded that the Narendra Modi government release a "white paper" on what it has achieved through programmes launched in the last five years, PTI reported. He said the government had given "a dozen slogans" like Standup India, Digital India and Make in India, but its time to release figures of what it has achieved through all such schemes. Mamata Banerjee Reacts to Advani's Blog | TMC supremo and West Bengal chief minister Mamata Banerjee tweeted her sincerest regards to veteran leader LK Advani for his blog post ahead of the Lok Sabha elections. "As the senior most politician, former Deputy PM and founding father of the BJP, the views Advani Ji has expressed about extending democratic courtesies, is significant. Of course, all of the Opposition who raise their voices are not anti-national. We welcome his statement & convey our humble regards," she said. West Bengal Chief Minister Mamata Banerjee on Thursday warned voters of the BJP's "sinister" designs and claimed the Citizenship (Amendment) Bill is another ploy to turn legal citizens of this country into refugees. If Prime Minister Narendra Modi is returned to power, he will throw away the Constitution and change the country from a democracy to a totalitarian regime, she added at a rally in Cooch Behar. Union minister Smriti Irani today hit out at Congress chief Rahul Gandhi, accusing him of betraying the people of Amethi by choosing to file his nomination from Kerala's Wayanad. Irani, speaking from Gandhi's turf Amethi, said the Congress had ignored Amethi's development and it was the BJP, which had taken up the issues plaguing the people. Irani earlier said, "A person who has been in Amethi for 15 years has decided to give up his supporters. 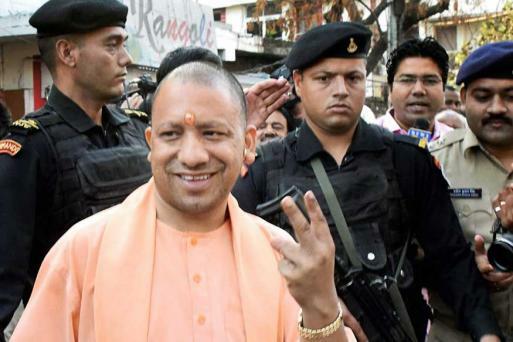 Come elections he has chosen to file nominations from another constituency because Congress workers in Amethi know that Rahul does not enjoy popular support." Earlier, Gandhi filed his nomination from Kerala’s Wayanad with his sister and AICC in-charge of eastern Uttar Pradesh Priyanka Gandhi Vadra for the upcoming Lok Sabha elections. Gandhi is contesting from the southern district in addition to his turf of Amethi. As Gandhi raises the political heat in Kerala, his rival Smriti Irani prepares to campaign in his home borough, Amethi. Irani is also scheduled to go to Salon assembly in Rae Bareli for the BJP’s Kisan Morcha Sammelan. Meanwhile, BJP national president Amit Shah will address a public meeting in the southern states of Telangana and Andhra Pradesh. In Telangana, Shah will be rallying at Kareemnagar and Warangal, while in neighbouring Andhra Pradesh he will campaign at Narsaraopet (Guntur) and Visakhapatnam. The Congress unit in Mumbai will release the party manifesto for the city. The event will be attended by all the six Congress candidates including Milind Deora, Priya Dutt, Urmila Matondkar and Sanjay Nirupam. Today is also the last day for Hardik Patel to seek urgent hearing from the Supreme Court.